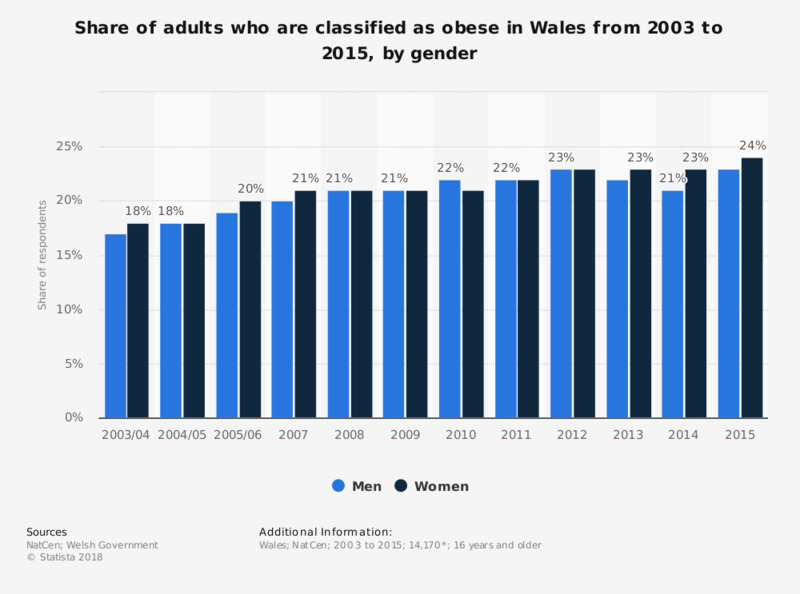 This statistic displays individuals who are obese (as measured by their body mass index (BMI) by gender in Wales from 2003 to 2015. In 2011, 22 percent of men and 22 percent of women were obese. * Unweighted base in 2014 (whole sample): n (men)= 6,554, n (women)= 7,616. Bases for previous years vary. The source adds: "from 2007 the fieldwork runs on a calendar year basis."